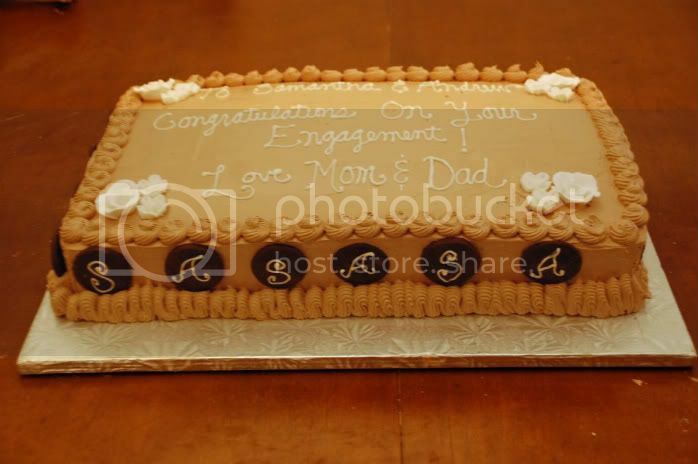 This is an engagement cake I made for a friend of a friend's engagement party. The cake consists of 4 layers (it was huge!) of interchanging chocolate and vanilla sponge cakes and each layer was filled with a whipped chocolate ganache. The entire cake was iced with a chocolate swiss meringue buttercream and I used a cornet to pipe the writing using white chocolate. I made chocolate sablee cookies and piped their initials on them which I then stuck around the sides of the cake. I made marzipan white roses in bunches around the 4 corners of the cake and piped pretty borders around the top and bottom perimeters. 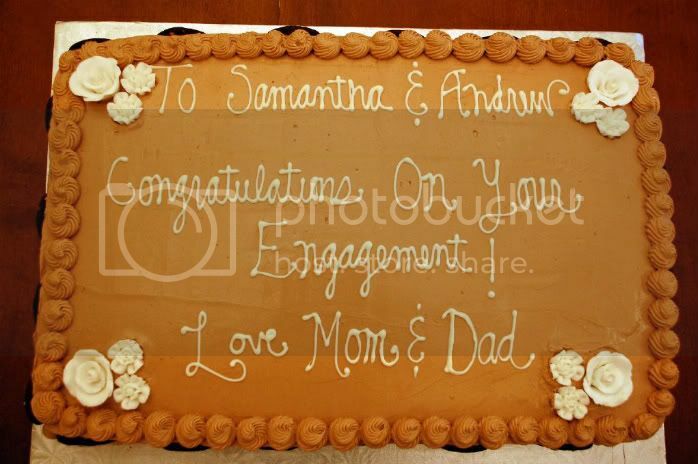 I heard the cake was a huge hit and I was so happy to share my love of decorative sweets with the bride and groom to be! Enjoy!